Visit us at 4384 E I-30 in Rockwall, Texas. or home for your property. Our staff is always willing to assist you in any way we can. To reach the Sales Department for park models, click here. 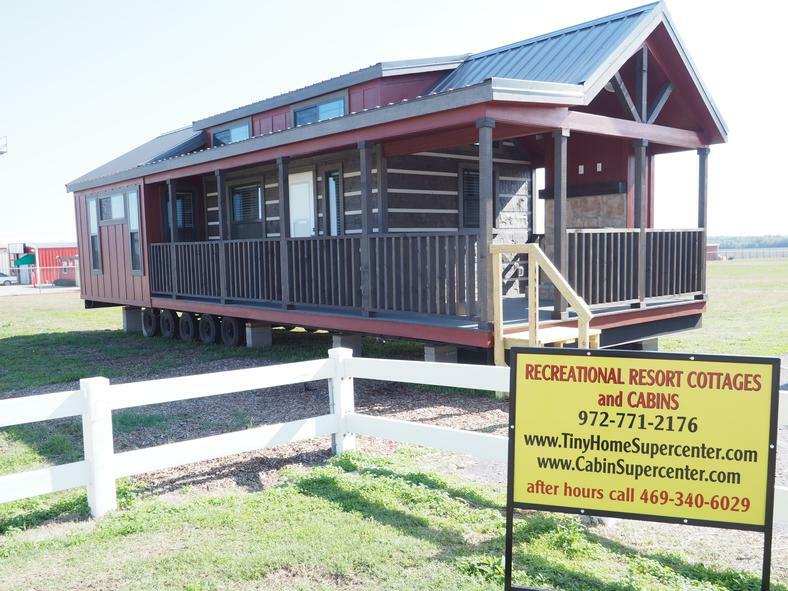 For our Sales Department specializing in the larger cabins and modular homes, click here. To contact the construction department, click here. For site checks, click here. To contact the finance department, click here. For insurance quotes, click here. To report warranty service needs, click here. and will work hard to meet your needs in an efficient manner. Traveling East on Interstate 30 from Dallas cross the Lake Ray Hubbard bridge and take exit #70 (FM 3549). Stay on the service road still headed east about a mile and a half. You'll see the many cabins and cottages and the "Recreational Resort Cottages" electronic sign on the right. The entrance is immediately past Rochelle Road on the right. Traveling West on Interstate 30 from Texarkana/Sulphur Springs take exit #70 and stay in the left-hand lane on the service road headed west to John King Blvd. ‎ Do a u-turn under I-30 at John King Blvd and come back up the service road on the other side, now headed east. Go 1.9 miles from John King Blvd, passing Rochelle Rd. Our entrance is the first driveway on the right immediately past Rochelle Road. CLOSED Easter Sunday, Thanksgiving Day, Christmas Eve, Christmas Day, and New Year's Day.